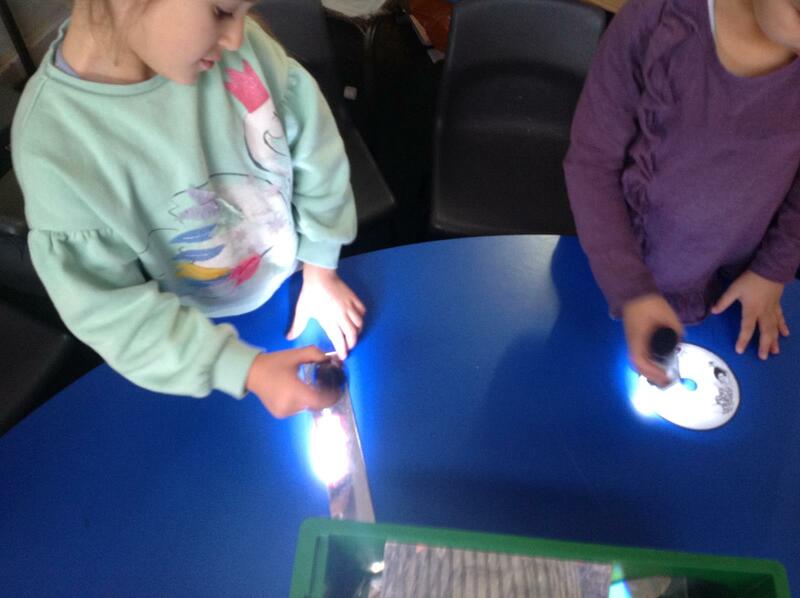 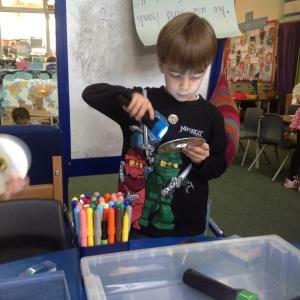 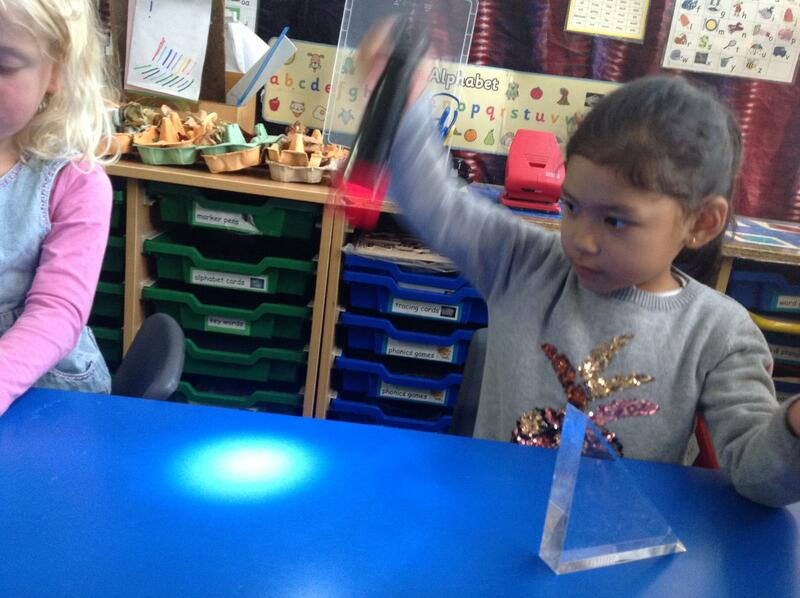 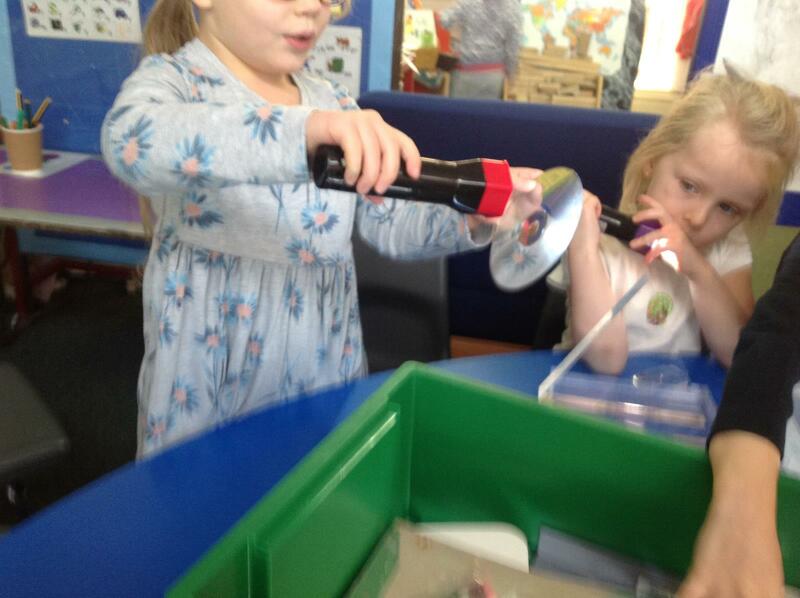 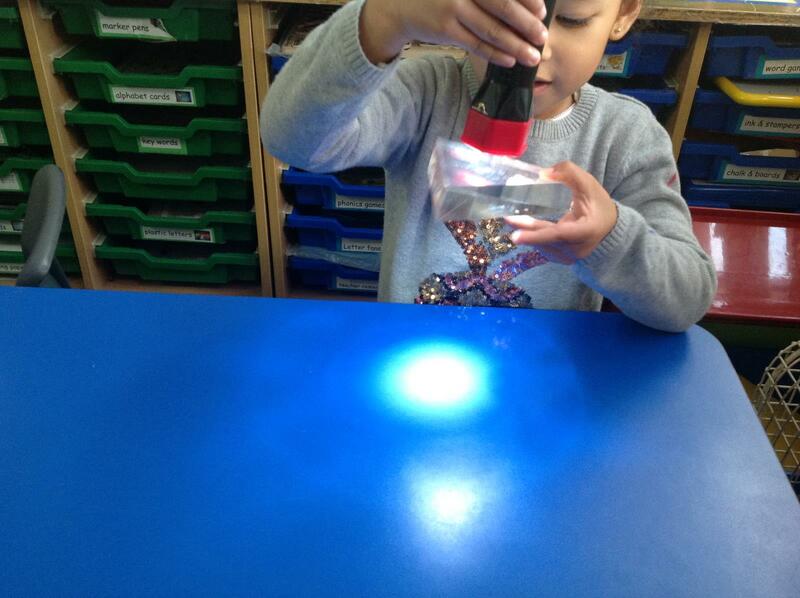 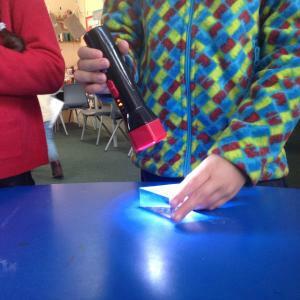 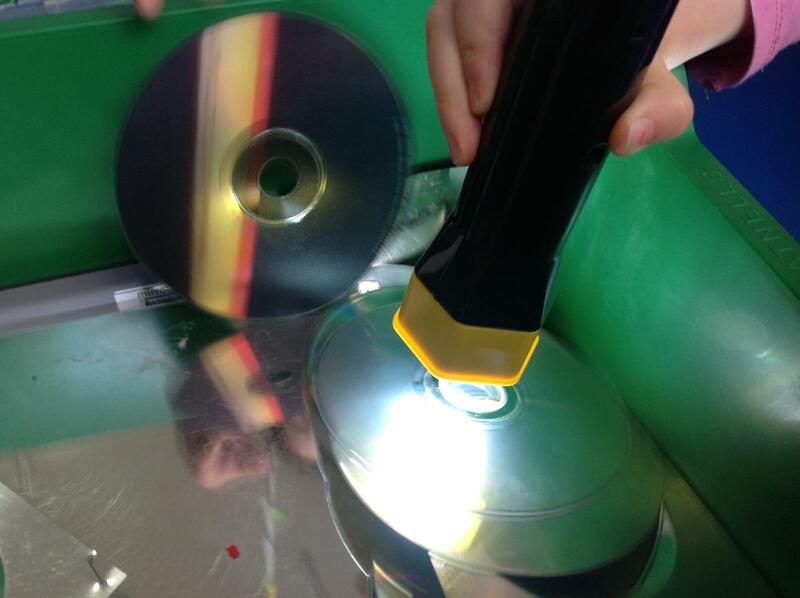 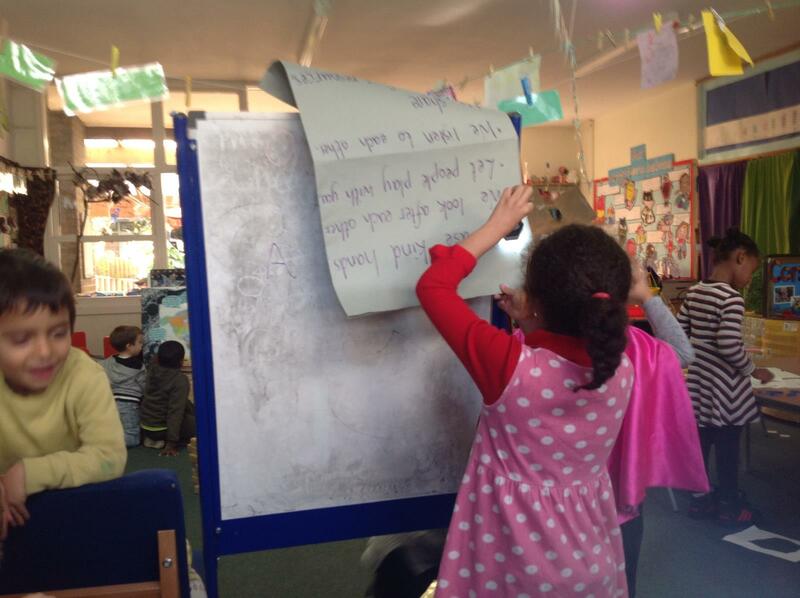 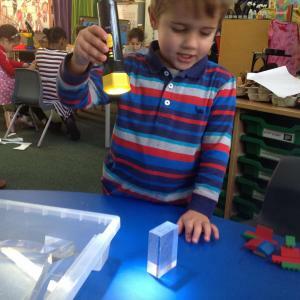 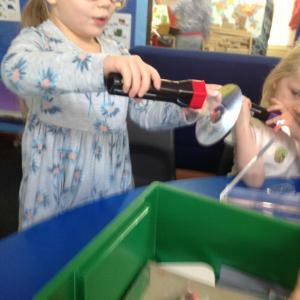 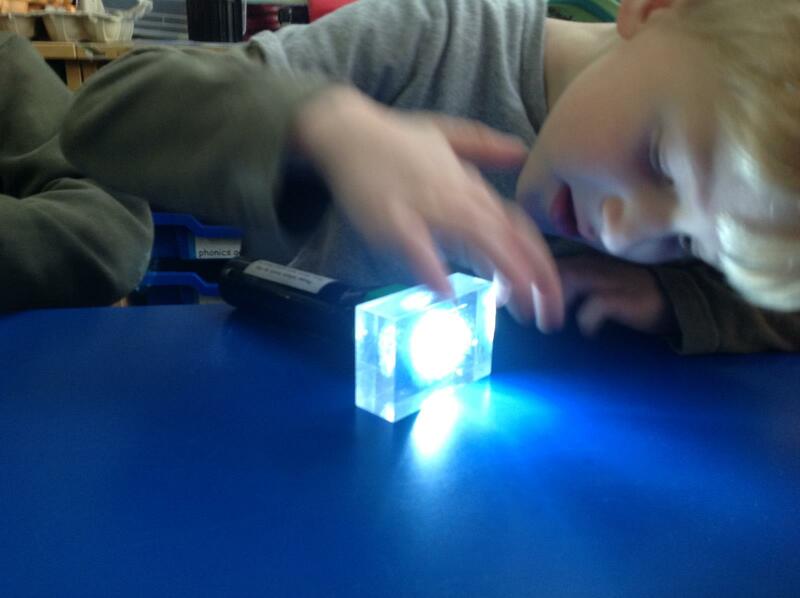 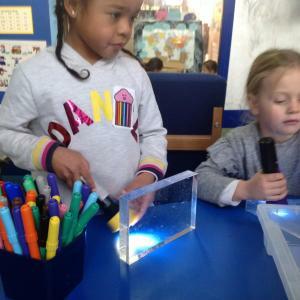 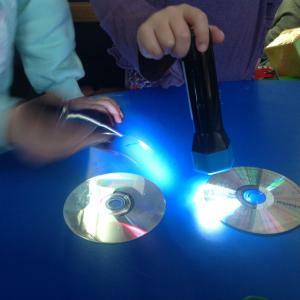 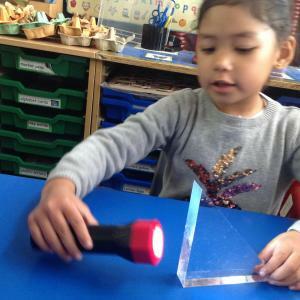 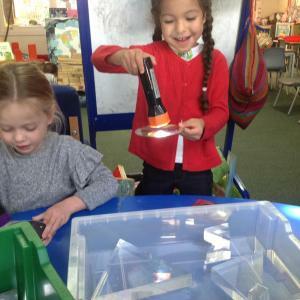 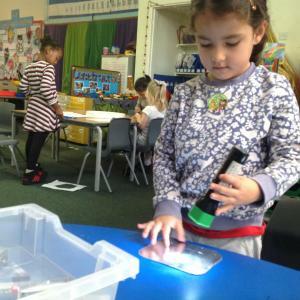 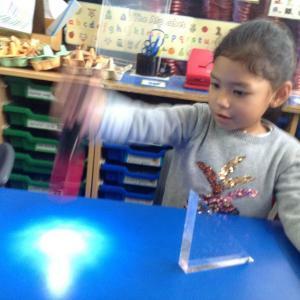 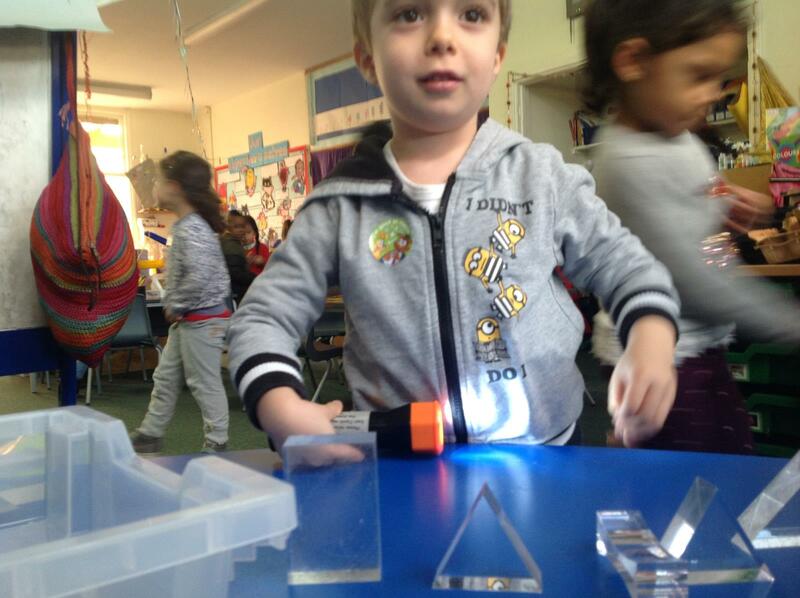 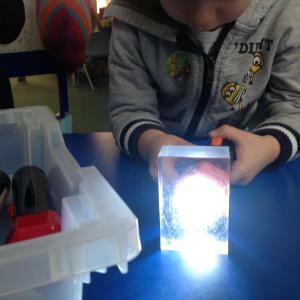 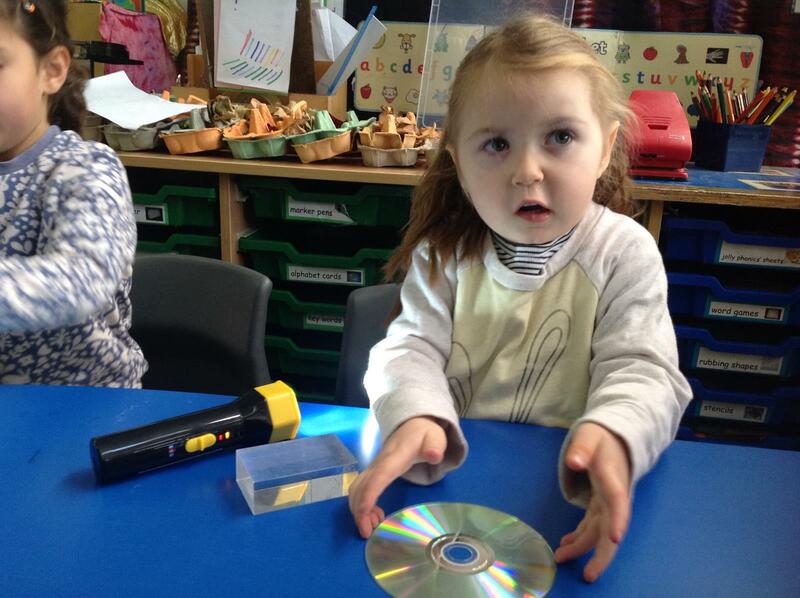 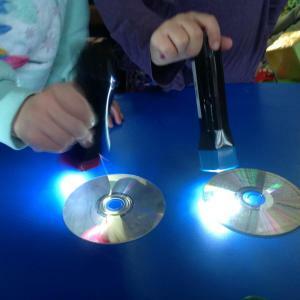 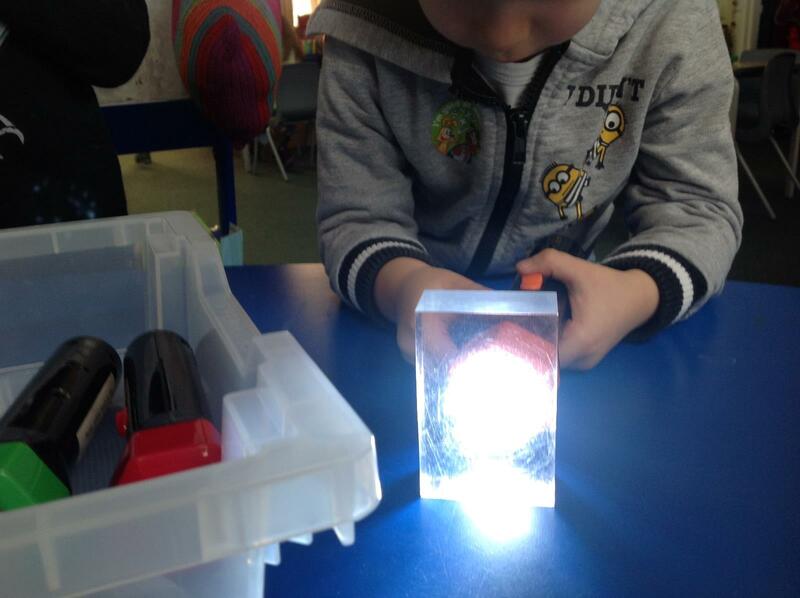 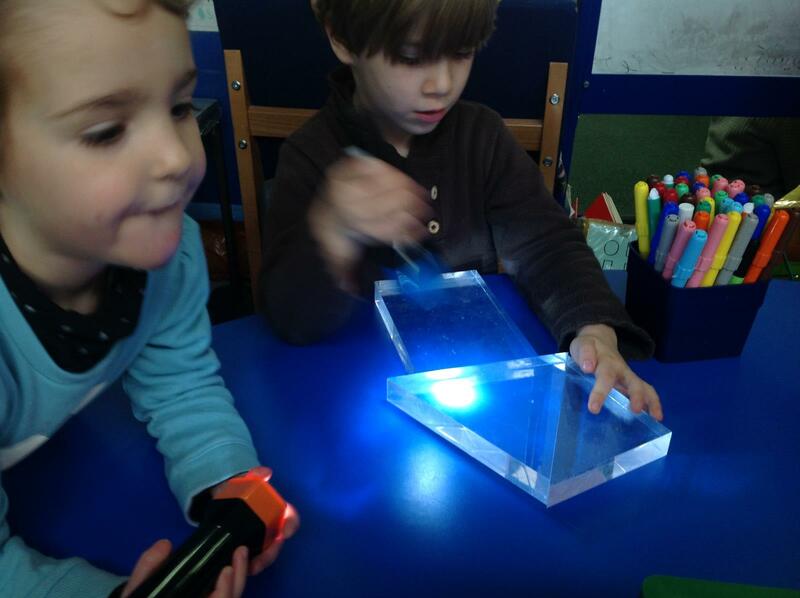 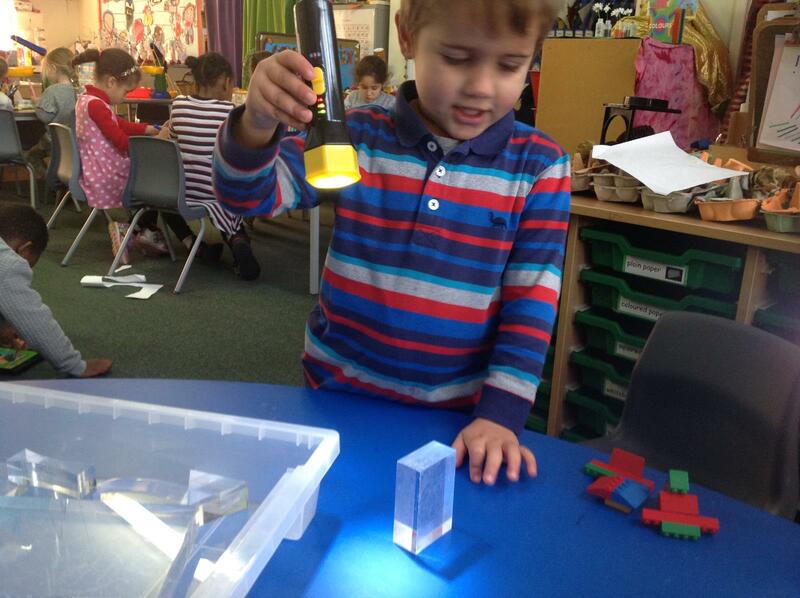 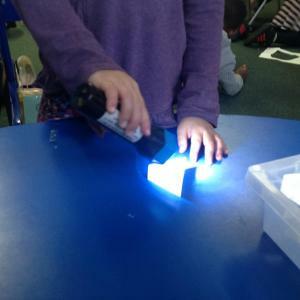 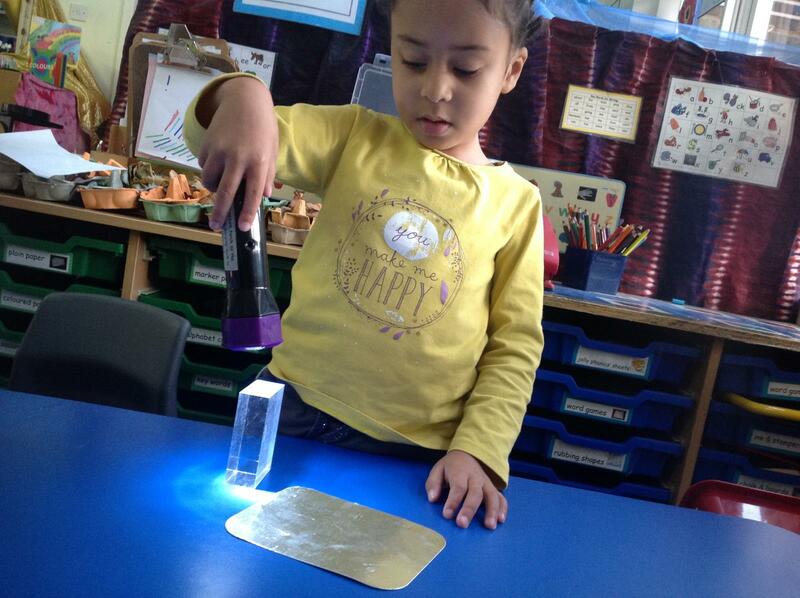 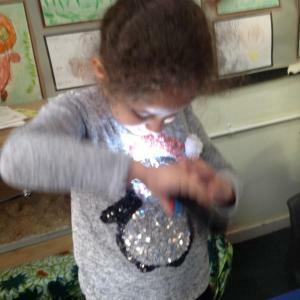 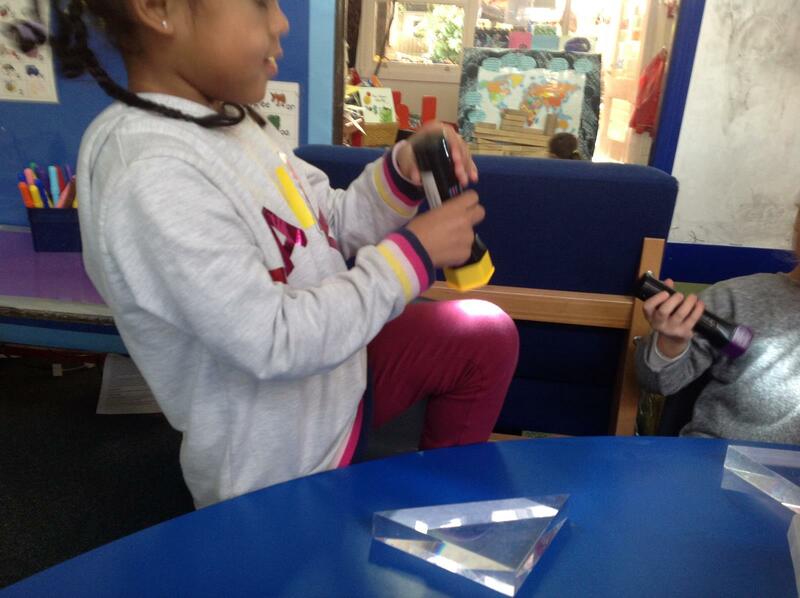 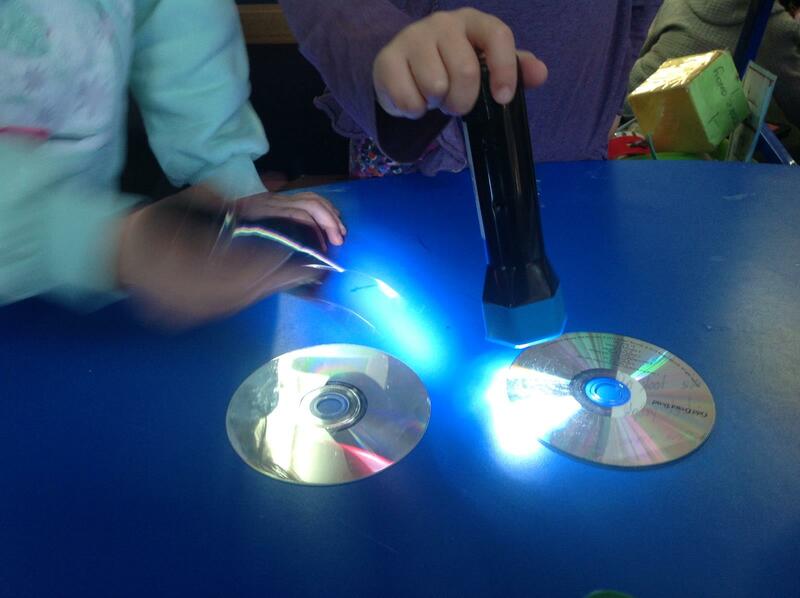 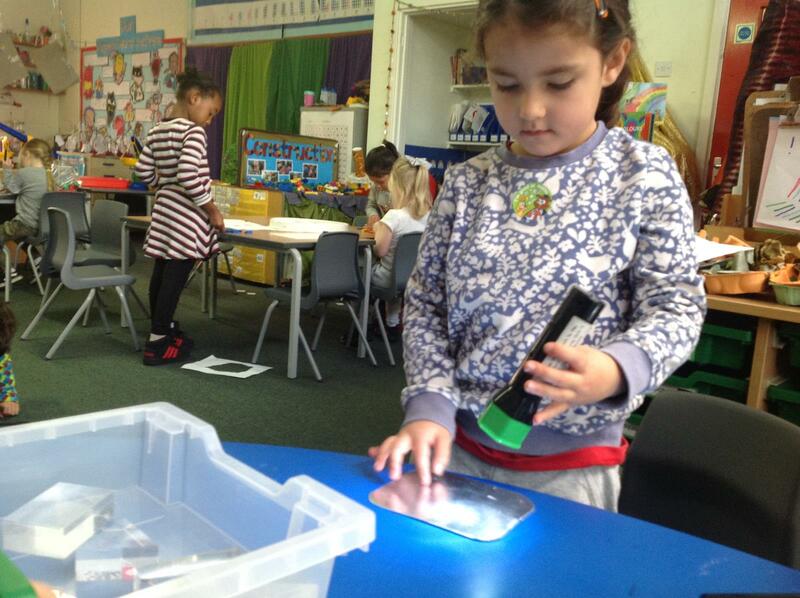 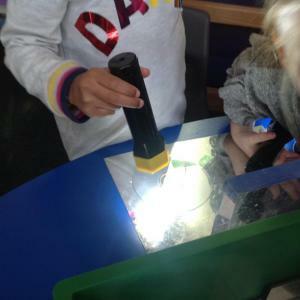 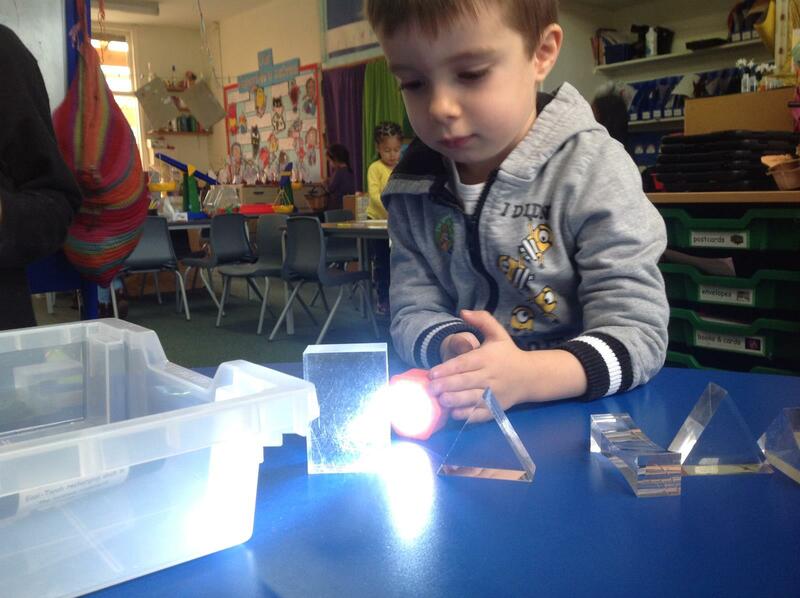 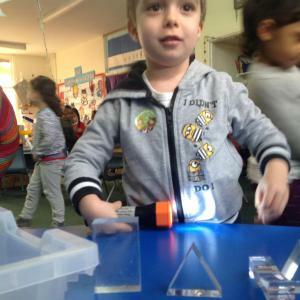 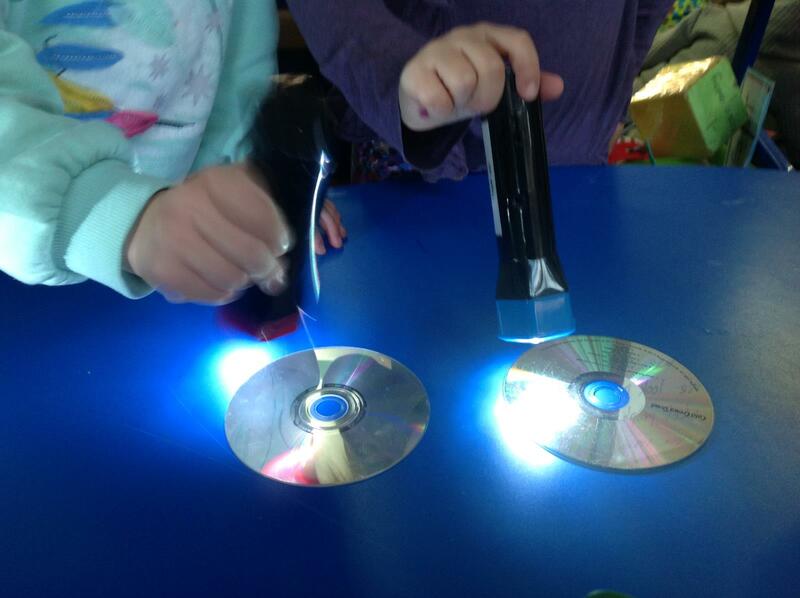 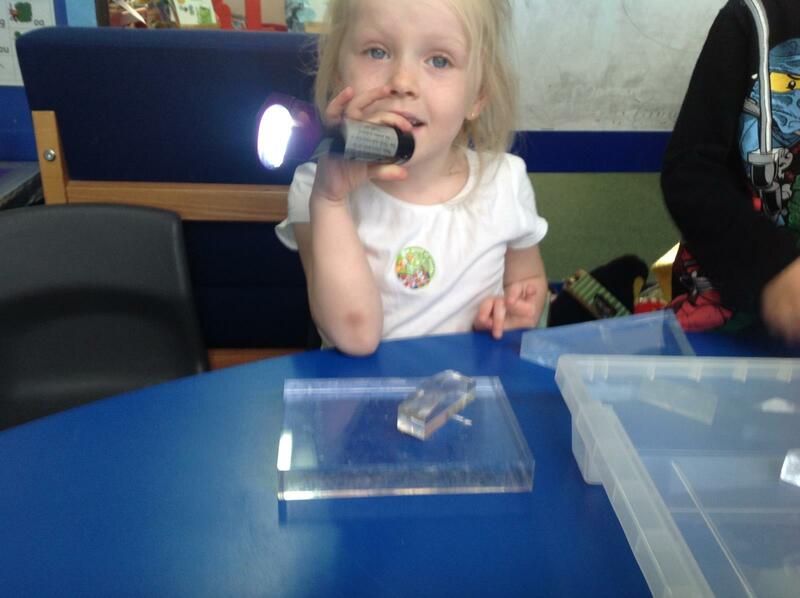 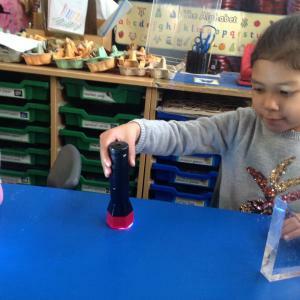 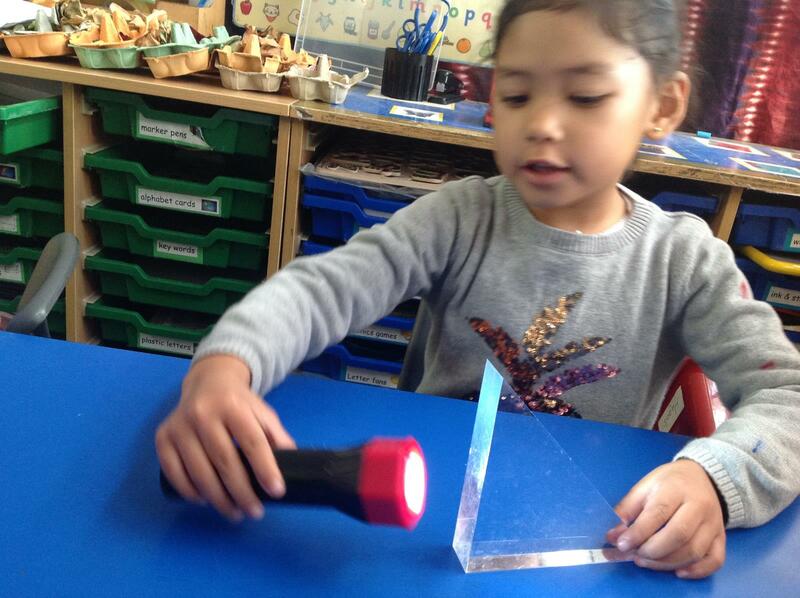 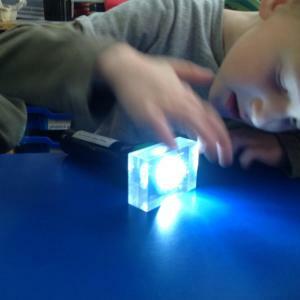 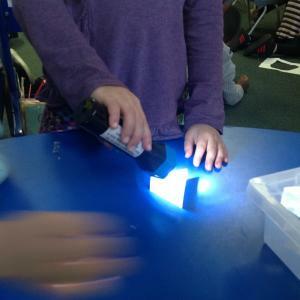 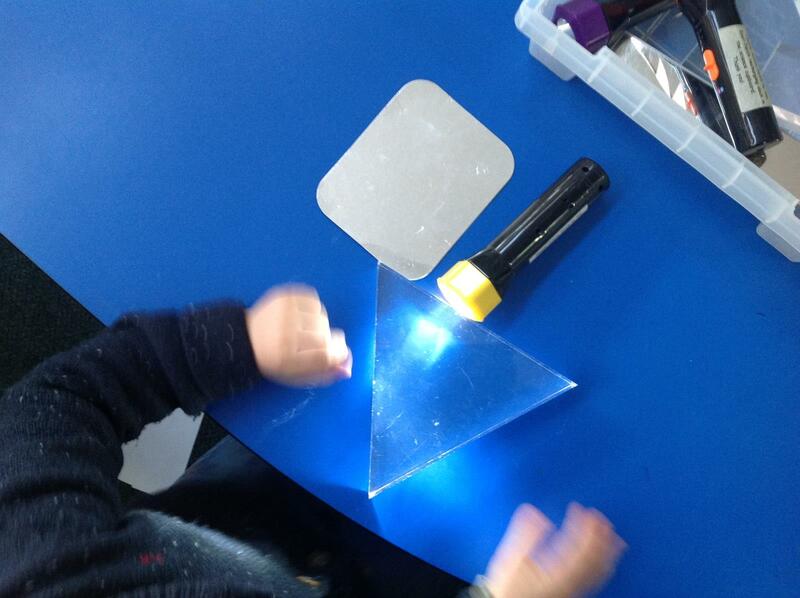 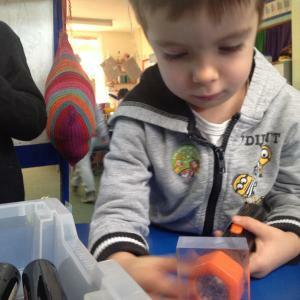 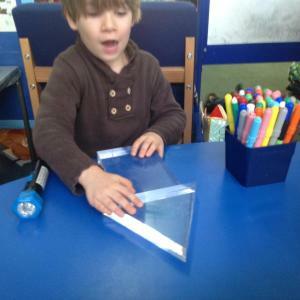 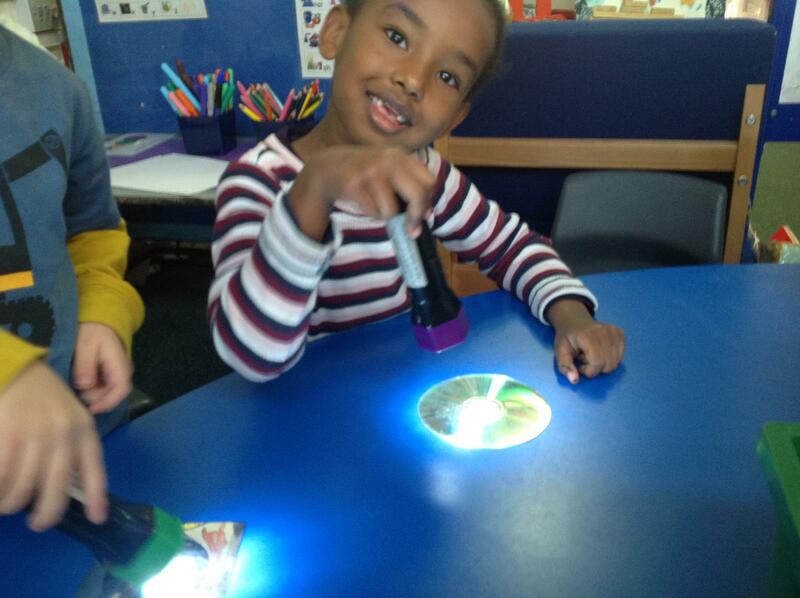 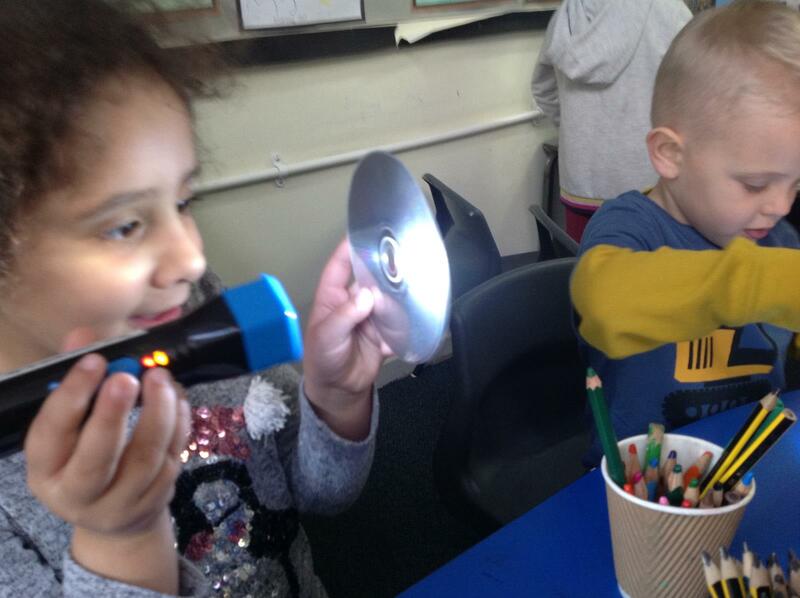 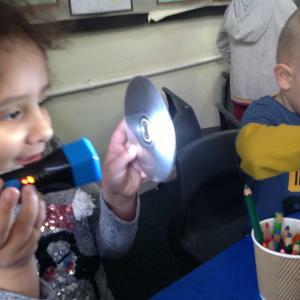 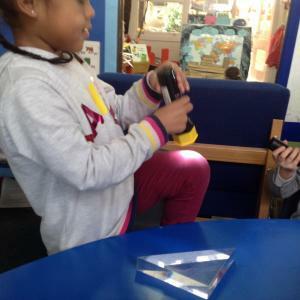 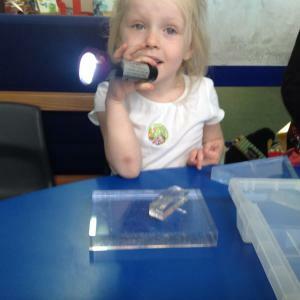 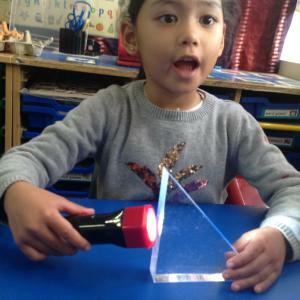 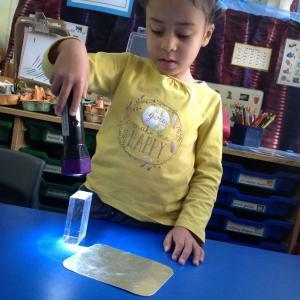 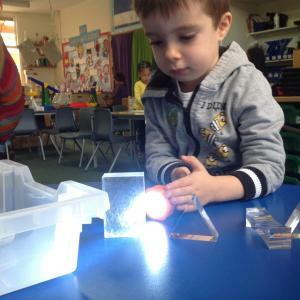 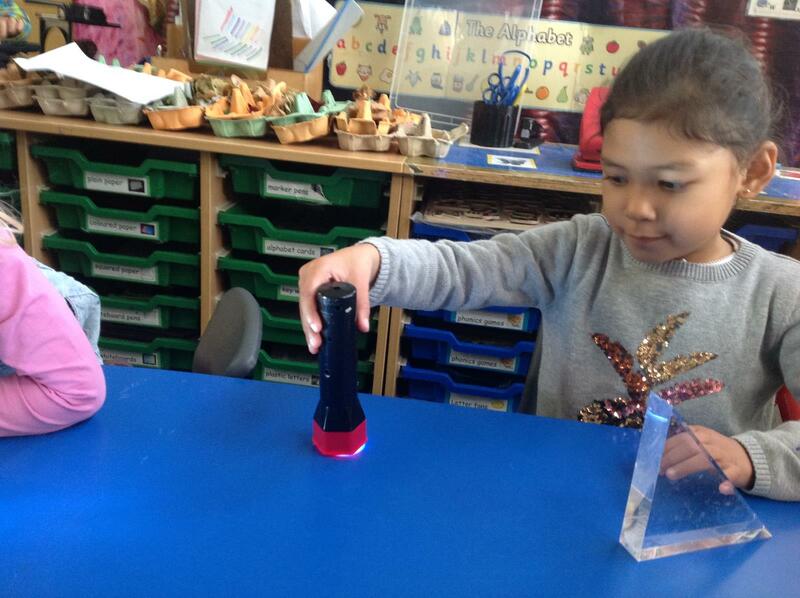 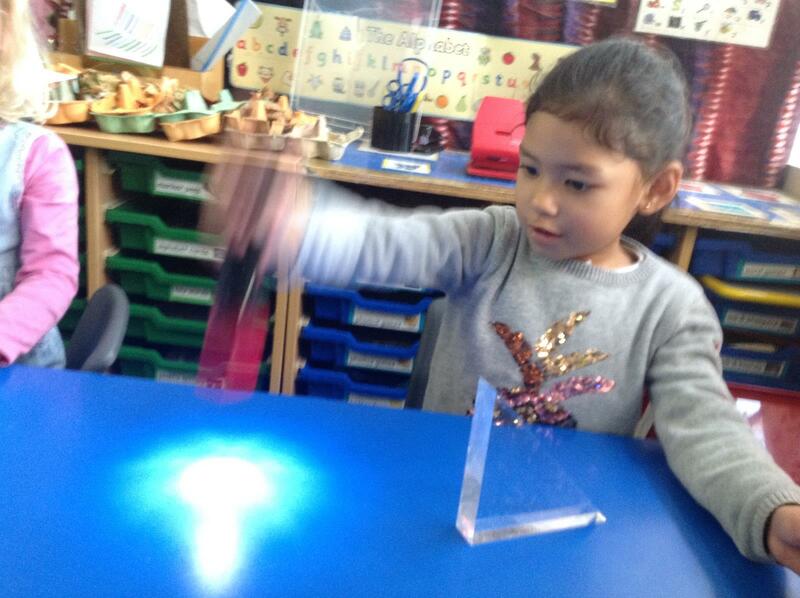 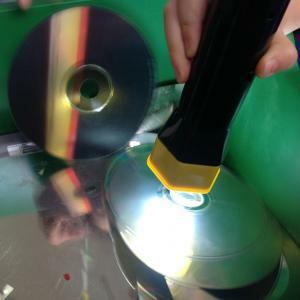 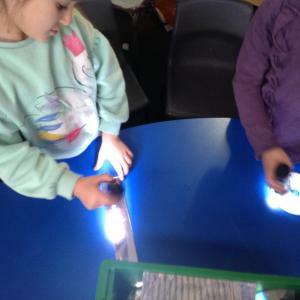 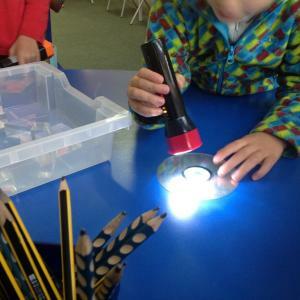 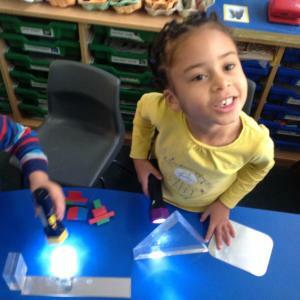 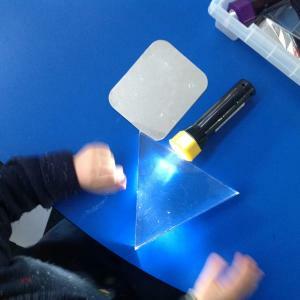 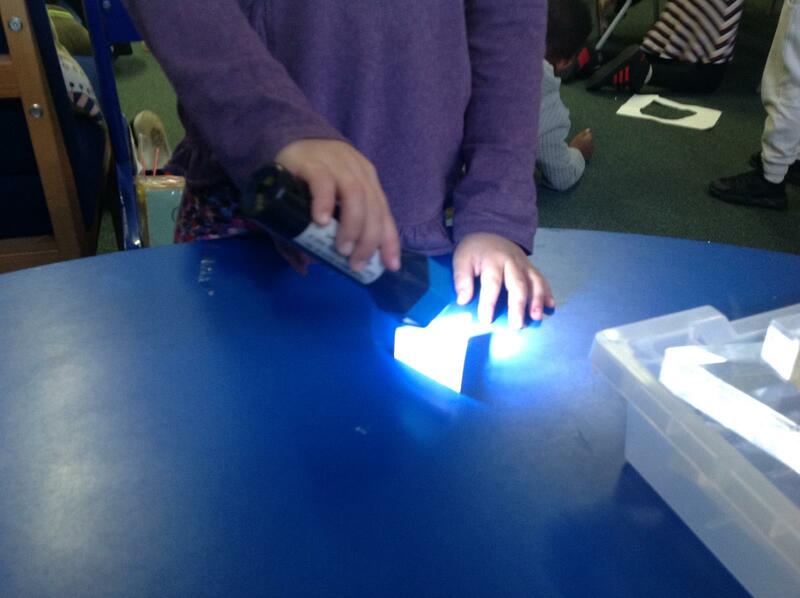 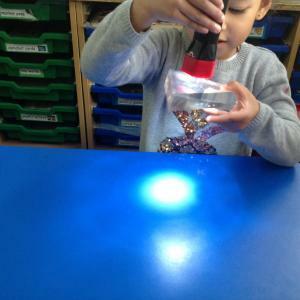 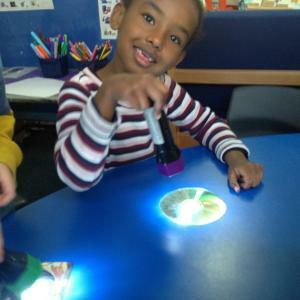 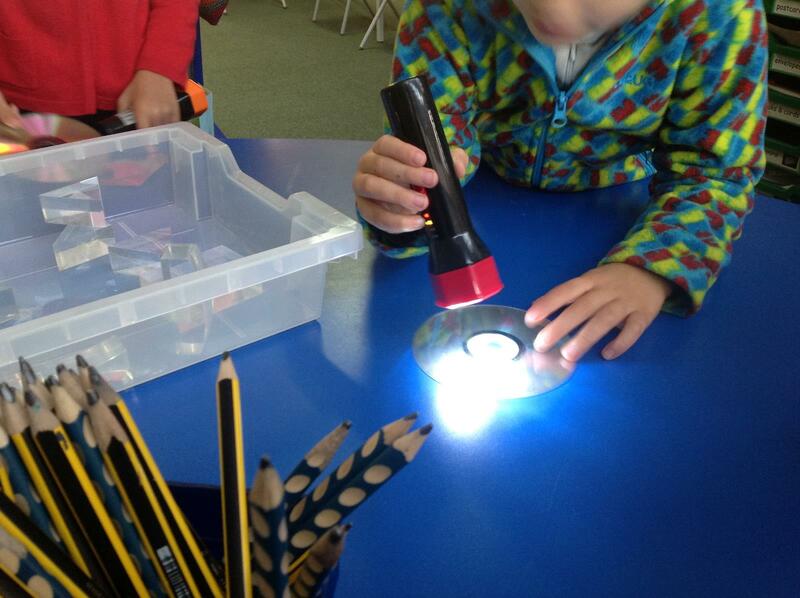 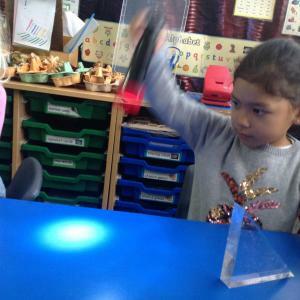 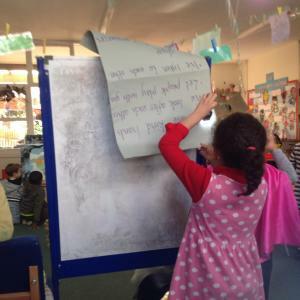 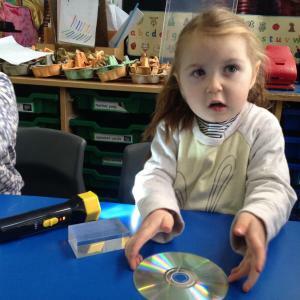 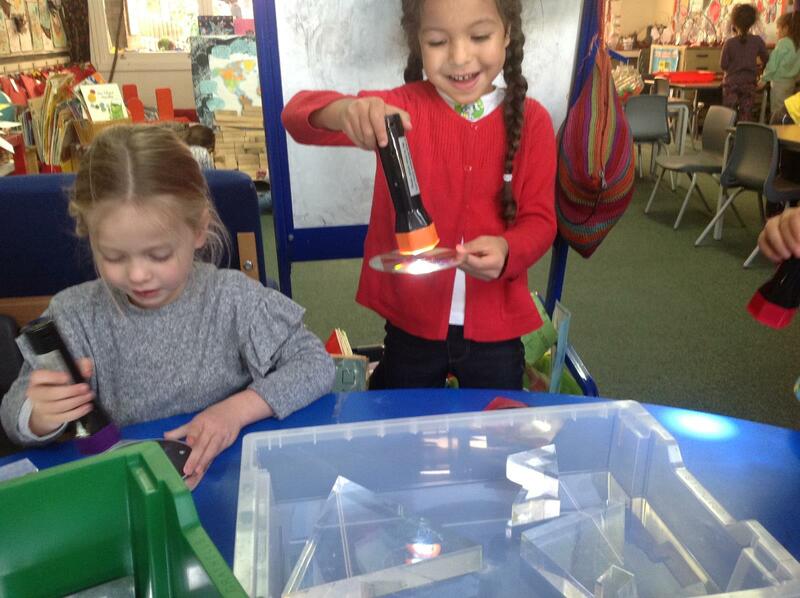 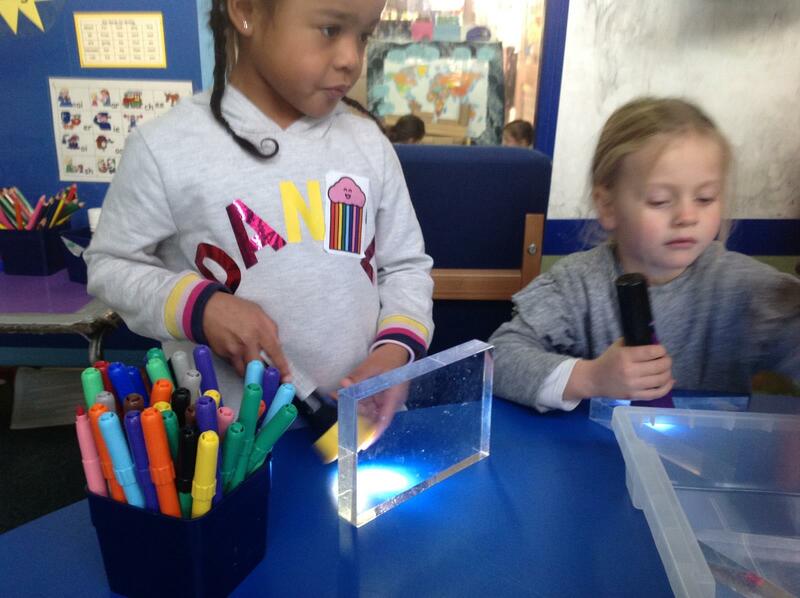 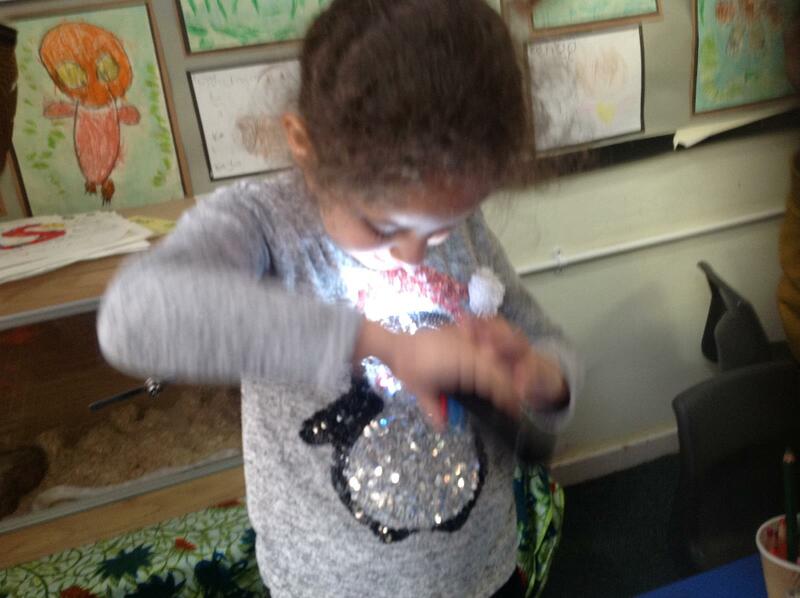 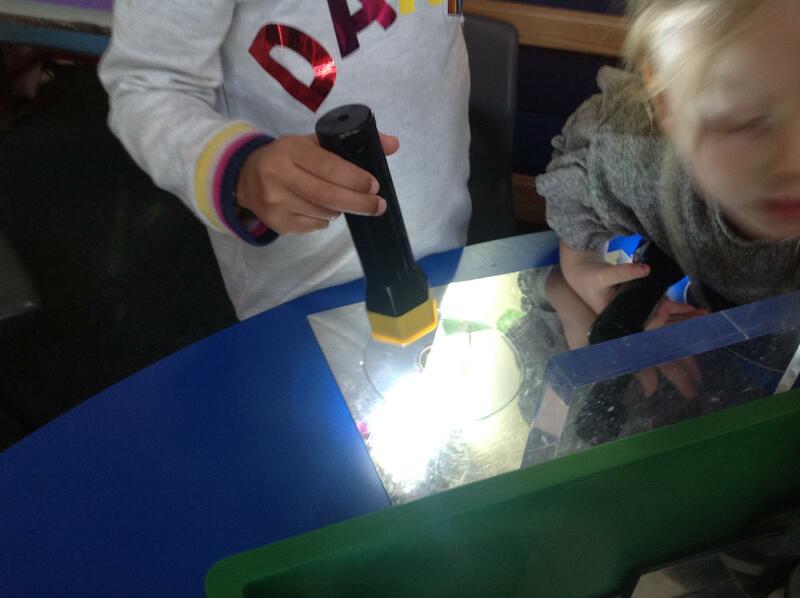 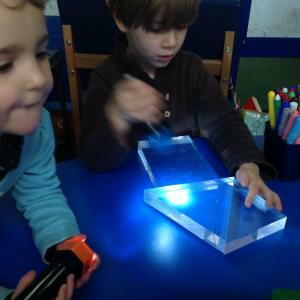 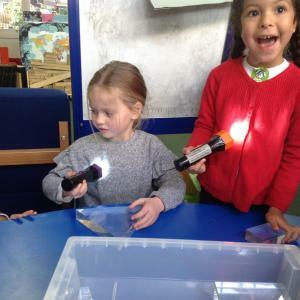 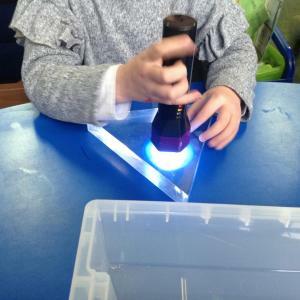 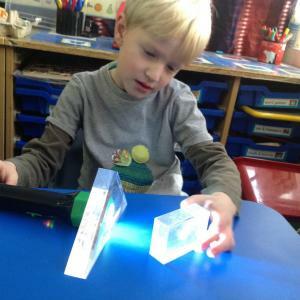 Reception explored light using torches, mirrors (and shiny CDs!) 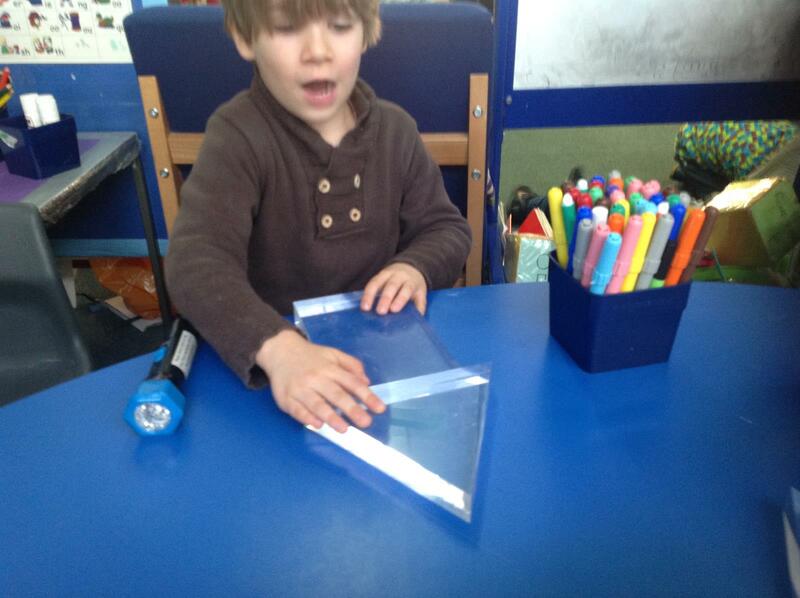 and prisms. 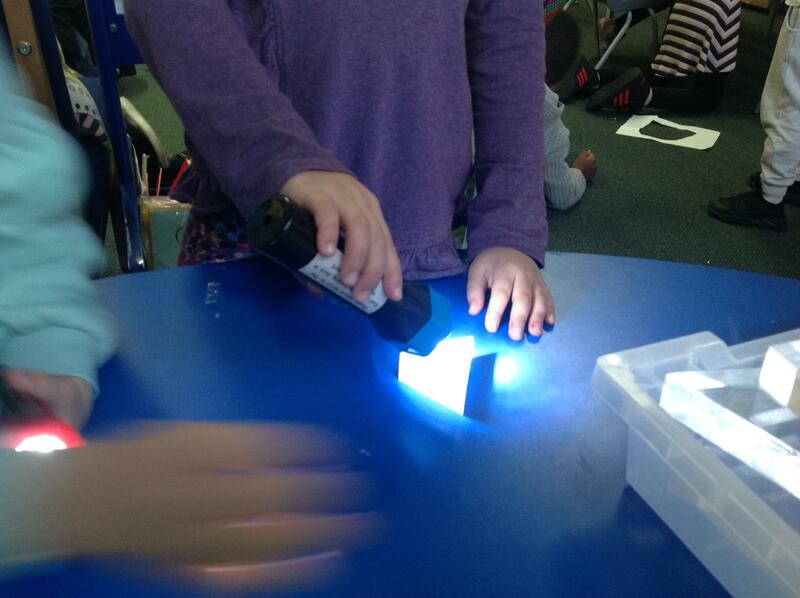 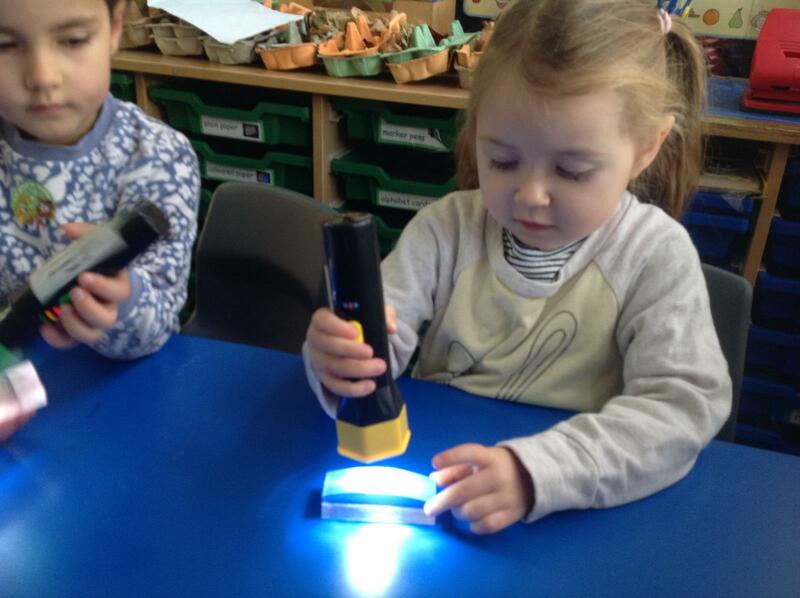 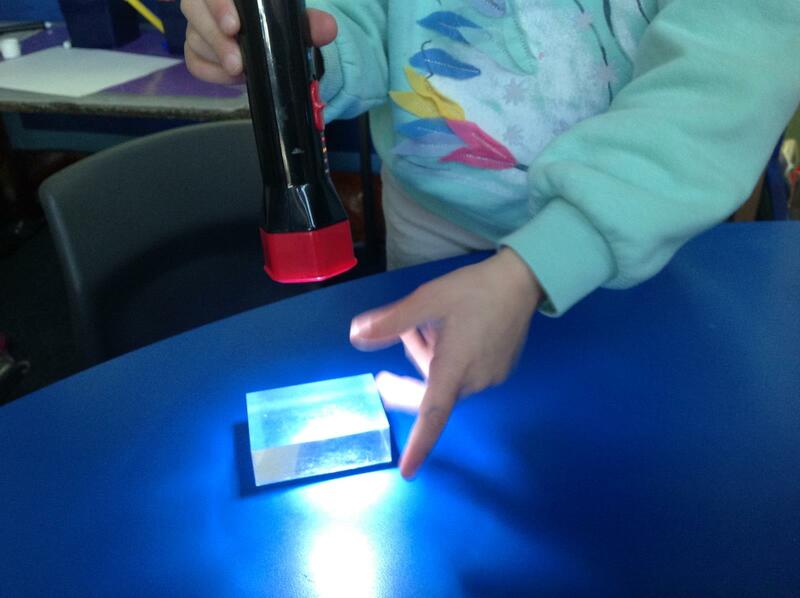 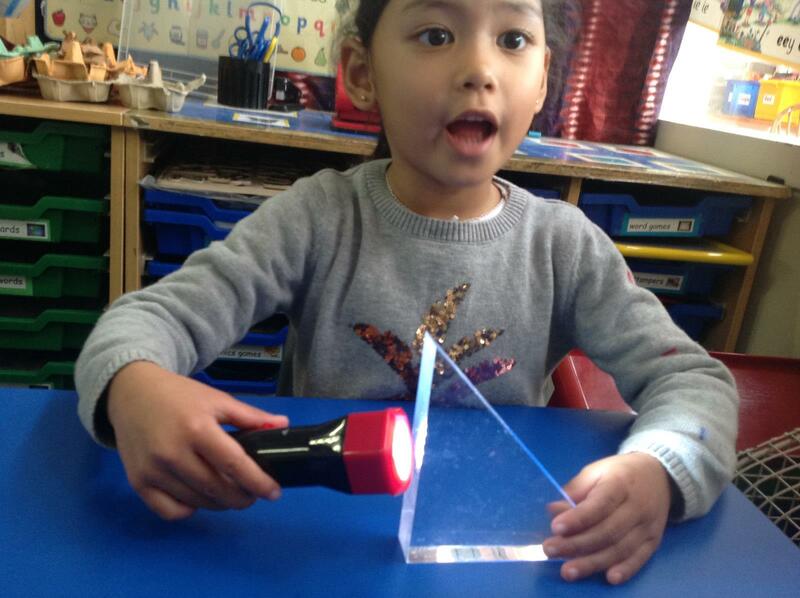 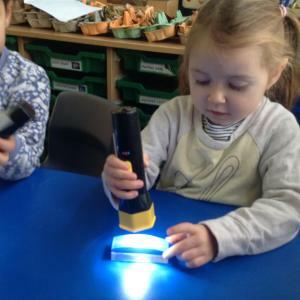 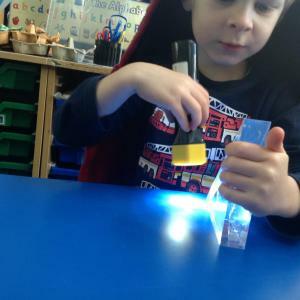 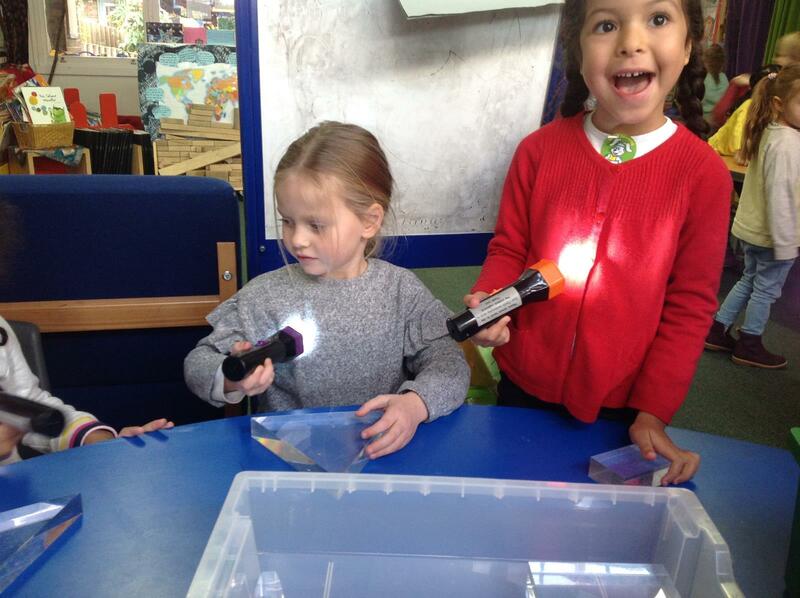 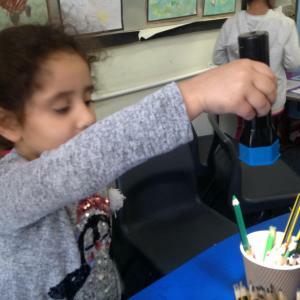 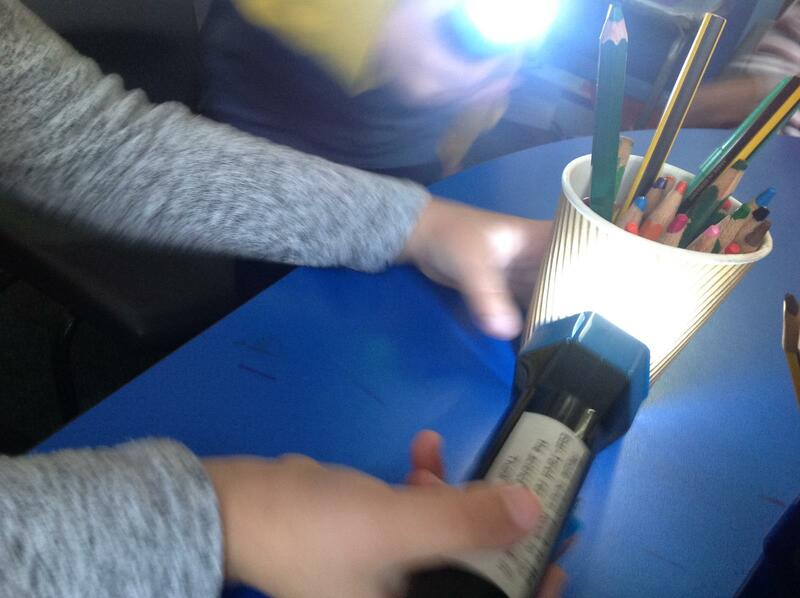 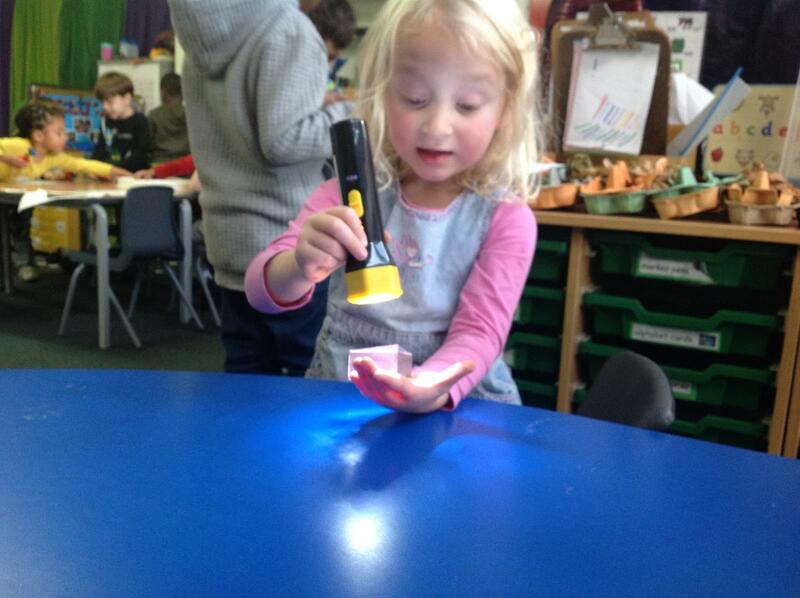 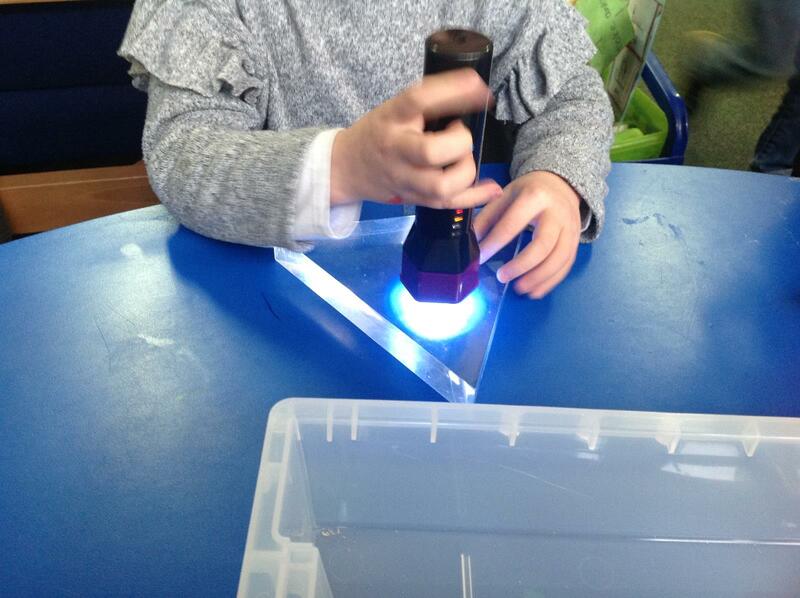 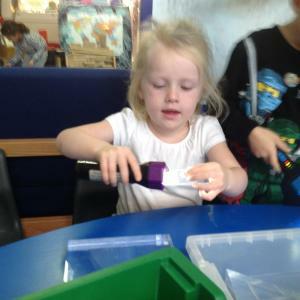 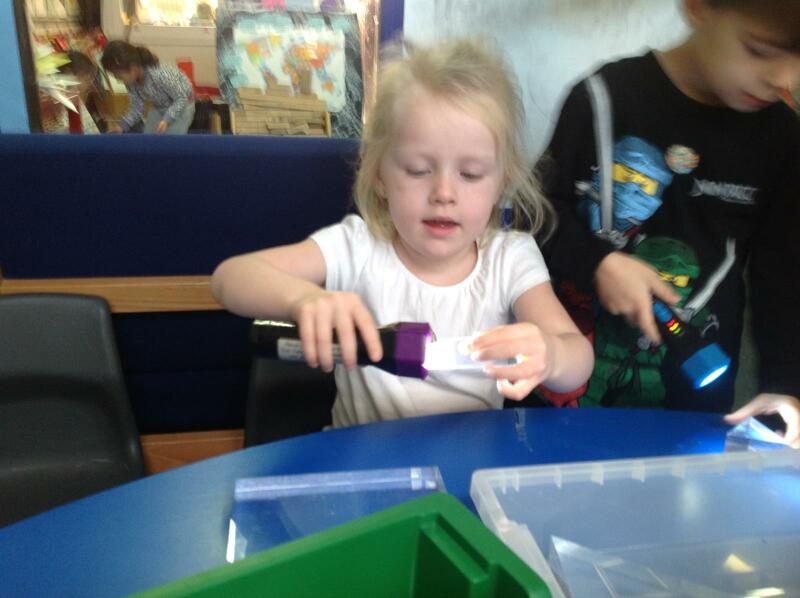 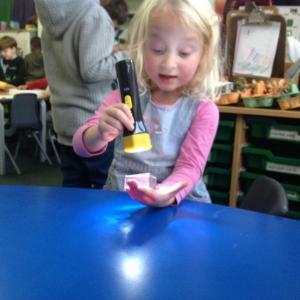 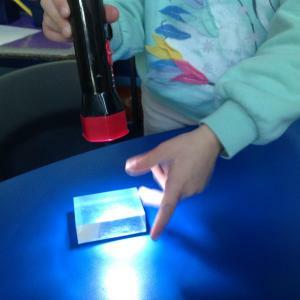 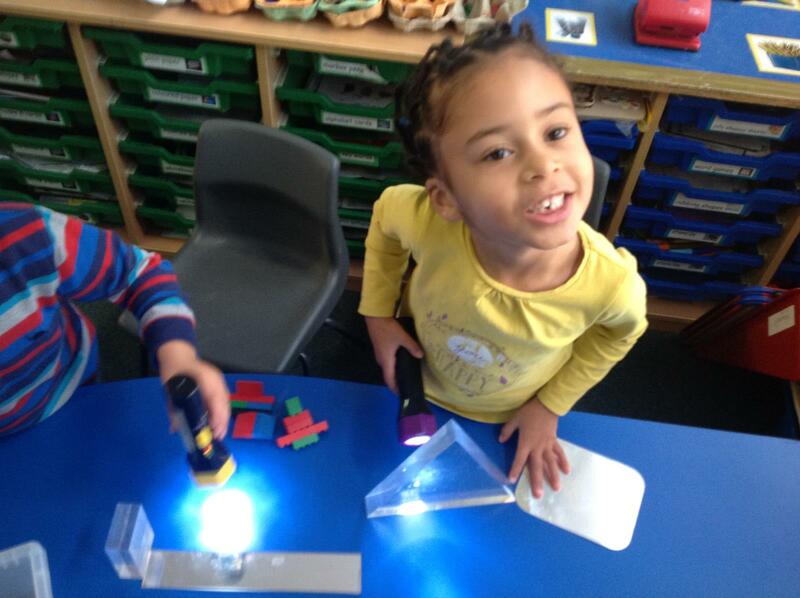 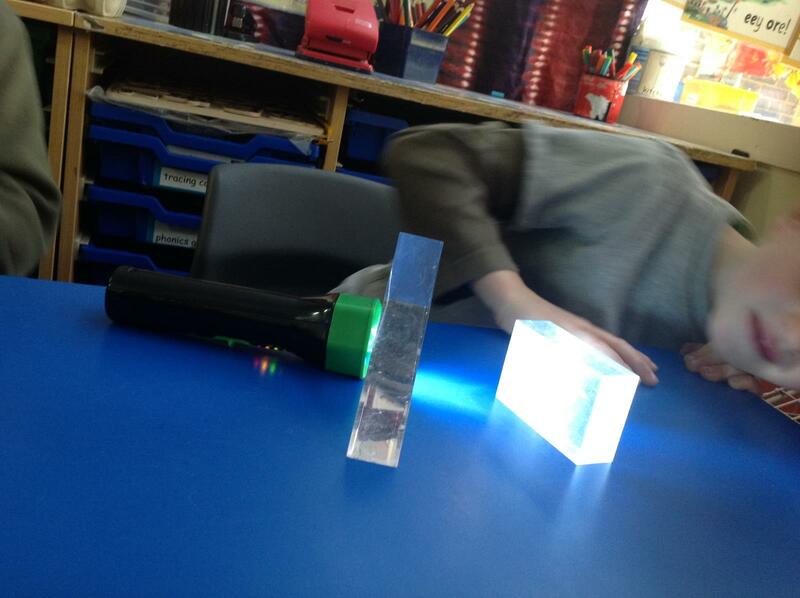 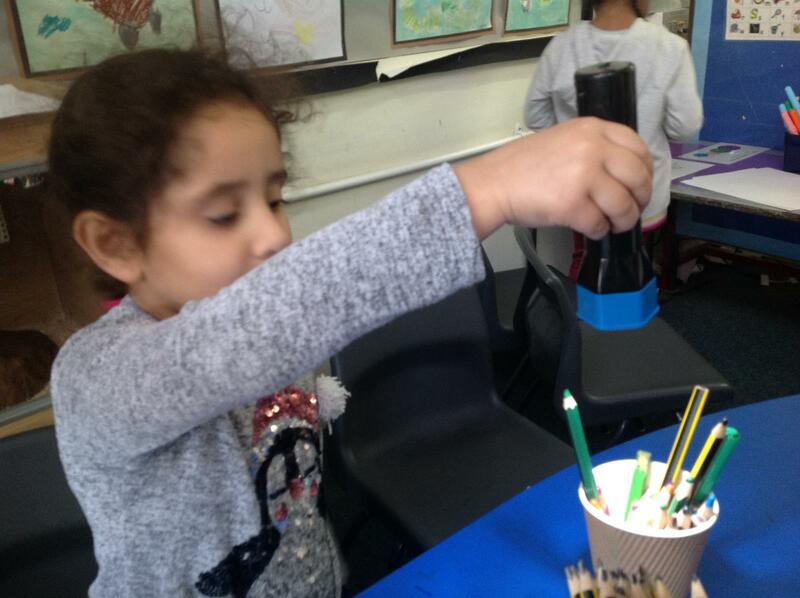 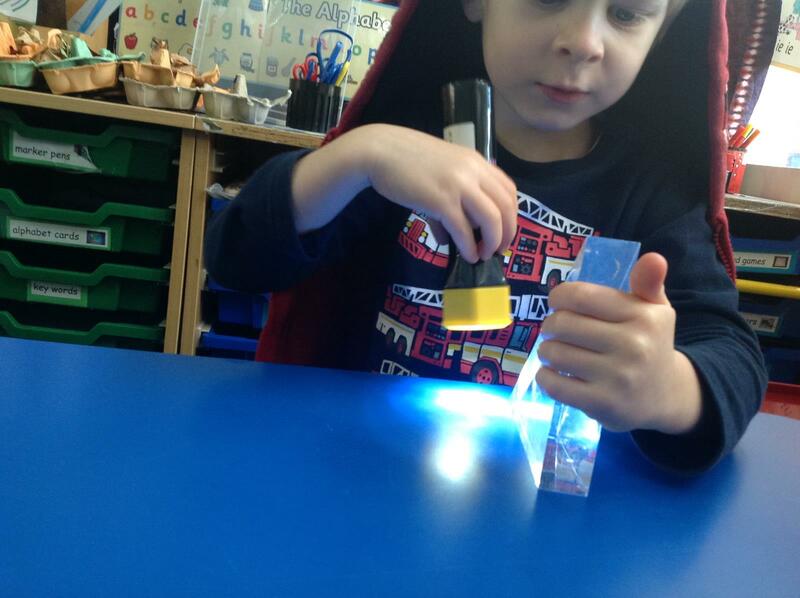 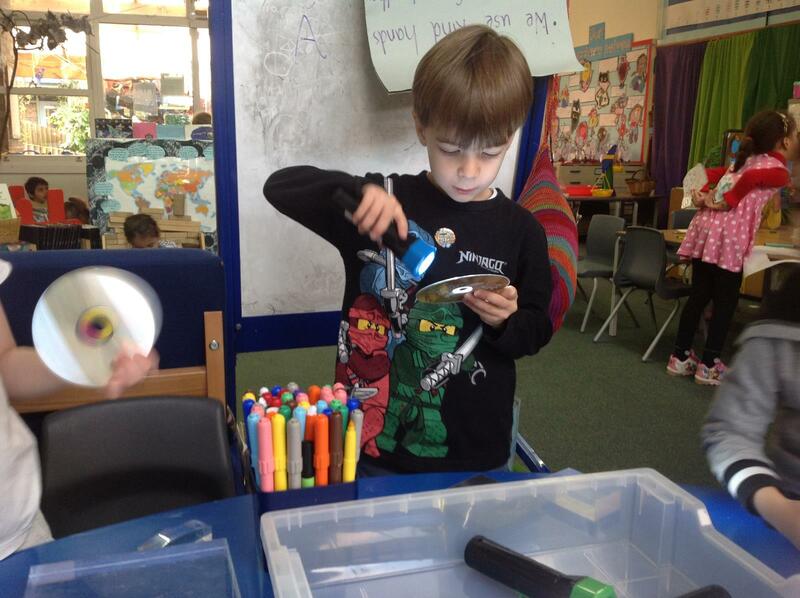 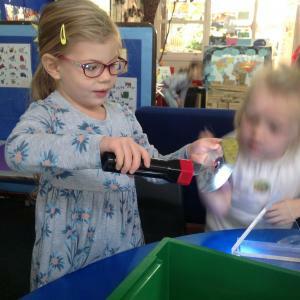 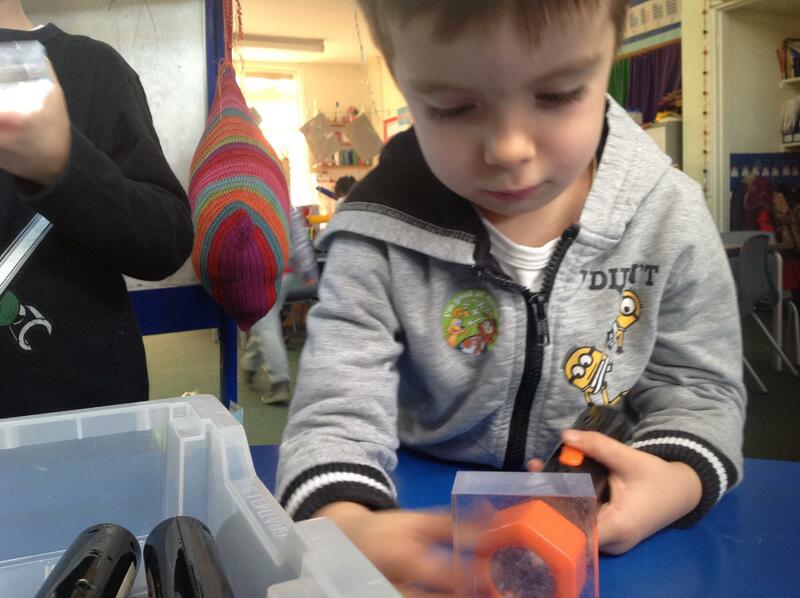 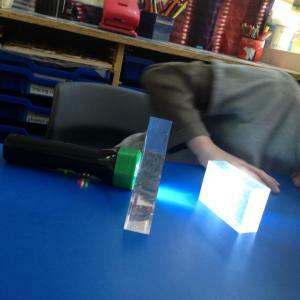 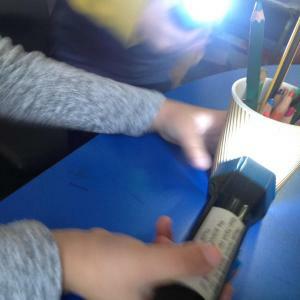 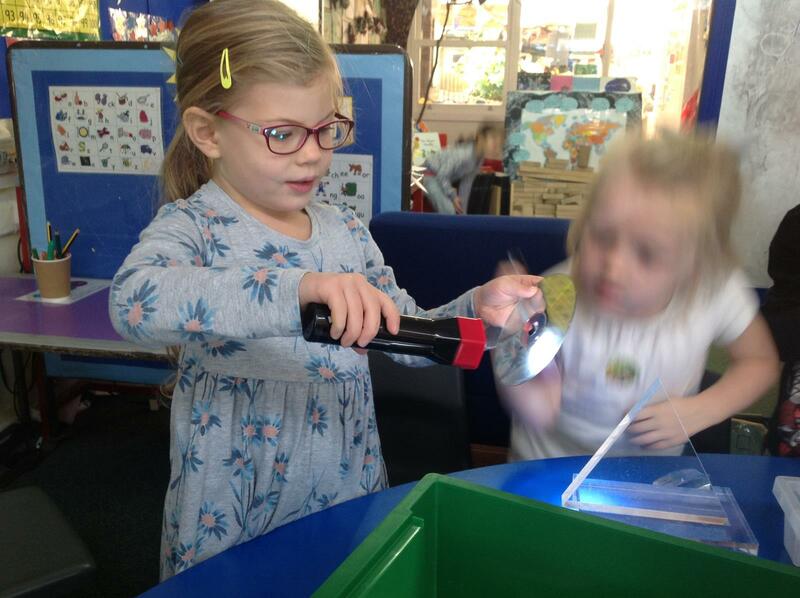 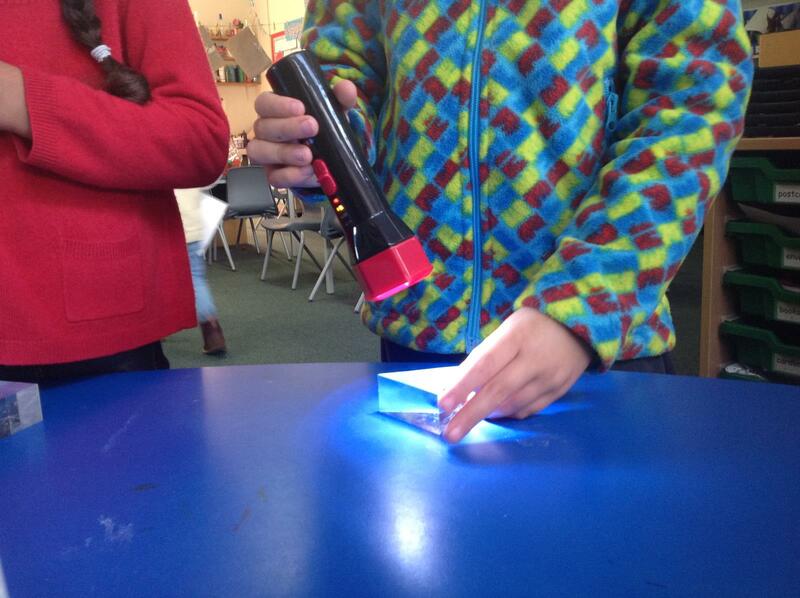 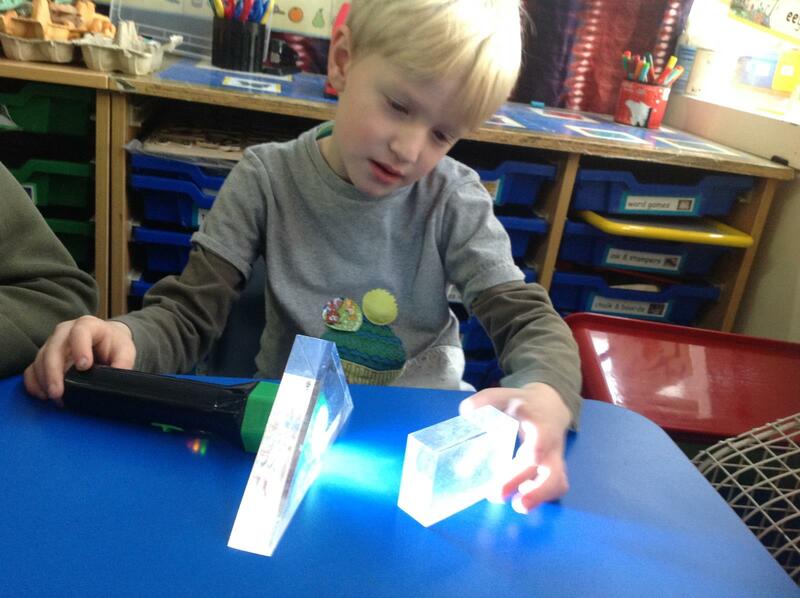 We thought about what sorts of materials reflect light, then investigated using torches!